As with Russia, those statements have become increasingly unpersuasive. Mr. Trump’s stand is creating an American foreign policy that is becoming increasingly isolated in its position. The European Union has demanded “full clarity” from the Saudis about the killing of Mr. Khashoggi, who lived in Virginia and was a columnist for The Washington Post. Even other countries like Israel, with strategic ties to Saudi Arabia, are not vocally defending Prince Mohammed. Saudi Arabia’s neighbor the United Arab Emirates is eager to wind down Prince Mohammed’s marquee foreign policy project, the war in Yemen, where Saudi and Emirati-backed forces are battling Houthi rebels backed by Iran. On Sunday, the Houthis said they were prepared to put in place a cease-fire if the Saudis followed suit. Mr. Trump’s national security adviser, John R. Bolton, met the crown prince of the United Arab Emirates, Mohammed bin Zayed, last week in Abu Dhabi, and the two discussed ways to hasten an end to the war, which has killed thousands of civilians and is a primary target of American lawmakers. 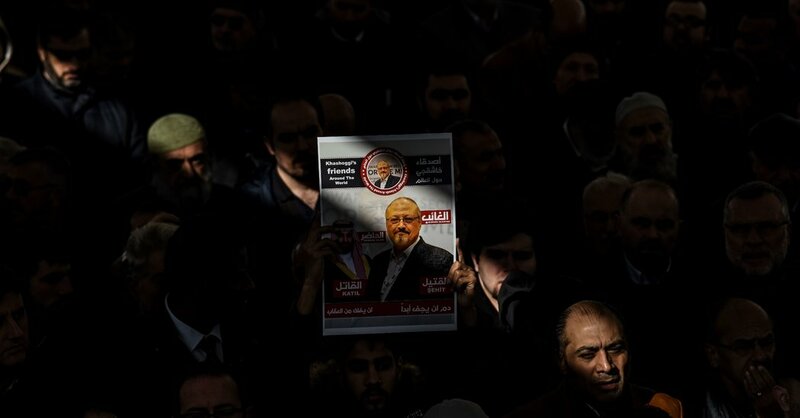 During that trip, Mr. Bolton told reporters that the Turkish audio recording “does not, in any way, link the crown prince to the killing.” Mr. Trump did not say whether it shed light on Prince Mohammed’s role, but contended that he would not learn anything from listening to it.